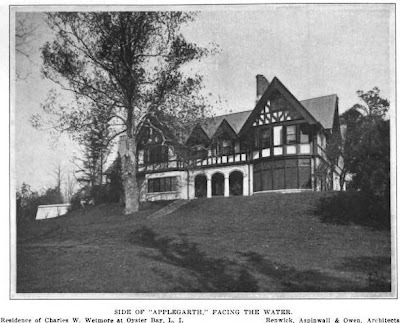 'Applegarth', the Charles Whitman Wetmore estate designed by Renwick, Aspinwall & Owen c. 1892 on Centre Island. Wetmore was recently retired from the law firm of Barlow & Wetmore and had 'Applegarth' built for his retirement. 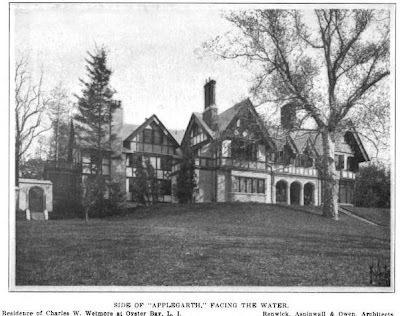 The 60+ acre estate was divided by the main road through Centre Island and Wetmore built his house on the smaller piece of land on the western side of the road so he could be closer to the protected boat basin. He was heavily involved in yachting and was the Chairman of the Race Committee for the Seawanhaka Corinthian Yacht Club. His wife, Elizabeth Bisland, was a journalist and was asked by Cosmopolitan magazine to try and beat Nellie Bly in her attempt to go round the world in 80 days. She lost after a steam ship she was supposed to take to New York was cancelled. Bisland wrote about the journey in her book A Flying Trip Around the World, published in 1891. 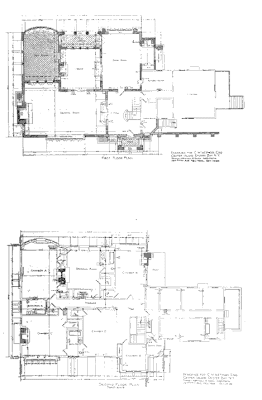 'Applegarth' was demolished in the 1940s (click HERE to see where it would have stood on google earth). 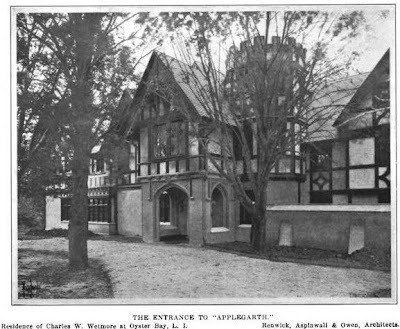 Pictures from Architectural Record, 1903. Turner, you read my mind. Too beautiful, must be gone. Zac, these treasures live on, thanks to you.